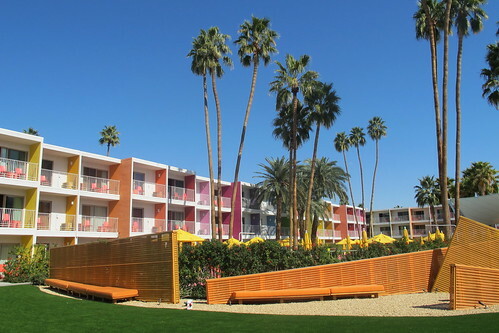 The tour of the Royal Hawaiian Estates was the main draw for me for this year’s Palm Springs Modernism Week, but there were a few other interesting things we were able to check out during our quick trip. 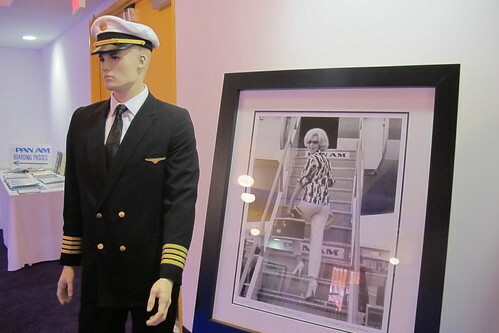 These days it’s hard to imagine air travel as anything but a hassle, but Pan American World Airways aspired to make it exciting and glamorous, as emphasized by this photo of Marilyn Monroe climbing aboard one of their planes. 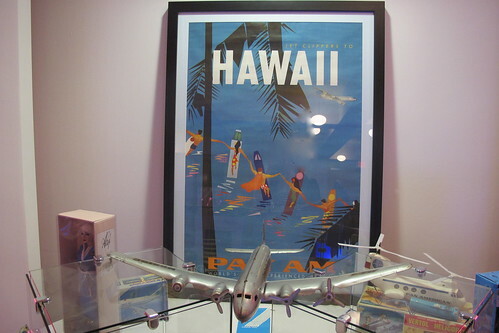 The airline ceased operations in 1991 when I was still pretty young, so I don’t remember any personal experiences with it. 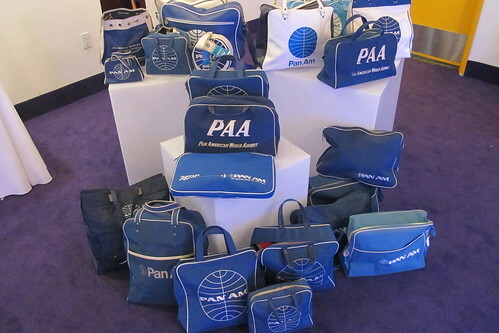 Aside from the short-lived TV show in 2012, I’m probably most familiar with Pan Am from those blue and white bags with the iconic logo. 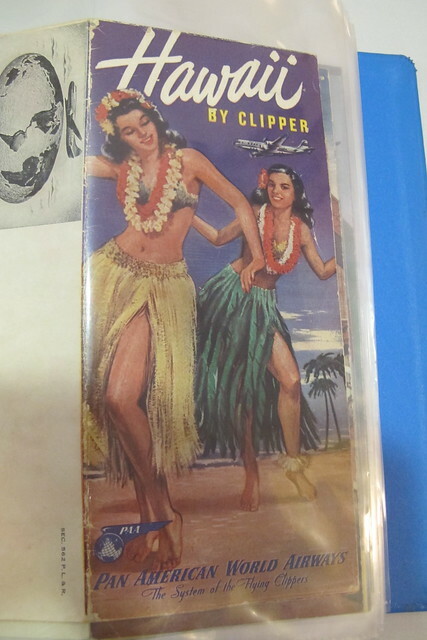 They’re still so covetable that reproductions of those retro styles are still sold today. 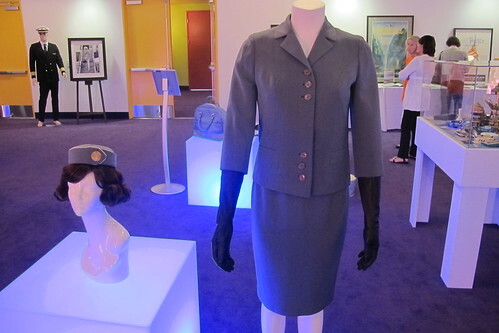 The exhibit was all from the personal collection of actor Phillip P. Keene (“The Closer,” “Major Crimes,”) who has been amassing Pan Am memorabilia for 20 years. 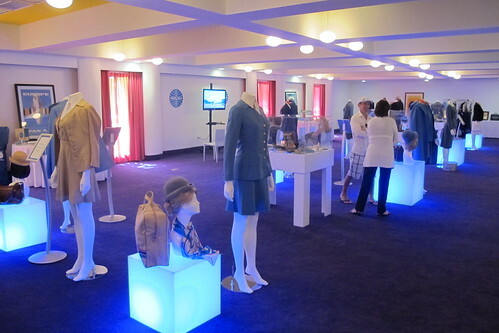 A wide variety of items were on display, including travel posters, uniforms, wing pins, toys, books (even a cookbook) and ephemera like matchbooks. 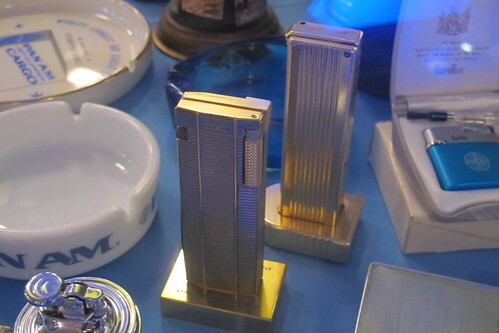 I was particularly amused by these lighters shaped like the Pan Am Building. This New York skyscraper opened in 1963 and was the headquarters for the airline. 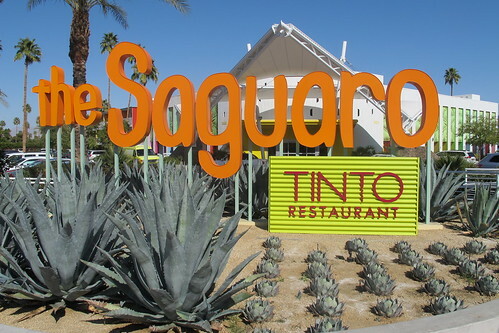 It was sold in 1981 and is now known as the MetLife Building. 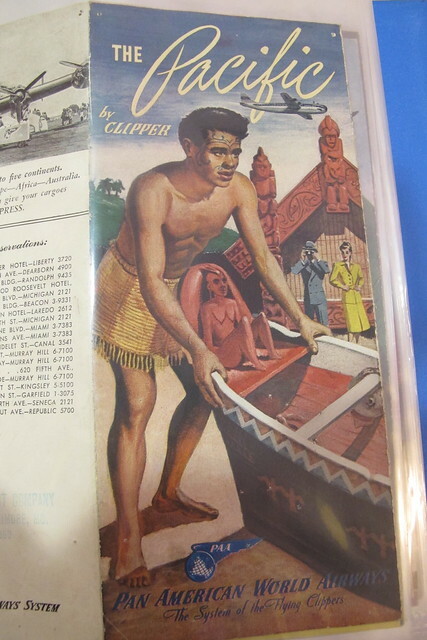 Meanwhile, this Bermuda brochure (false advertising, much?) 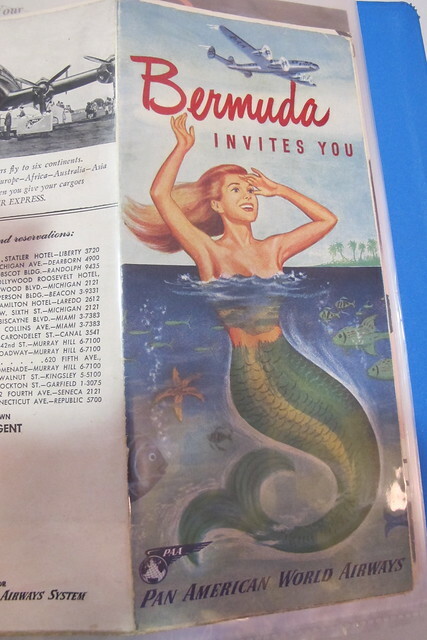 looked like something we would have seen at the “Mid-Century Mermaids: A History” presentation by Vintage Roadside at least year’s Modernism Week.